A gorgeous, voluminous ring decorated with two rows of crystals on either side of the band. Rows of clear crystals enhance the distinctive shapes with a brilliant richness in combination with polished and satin surfaces. 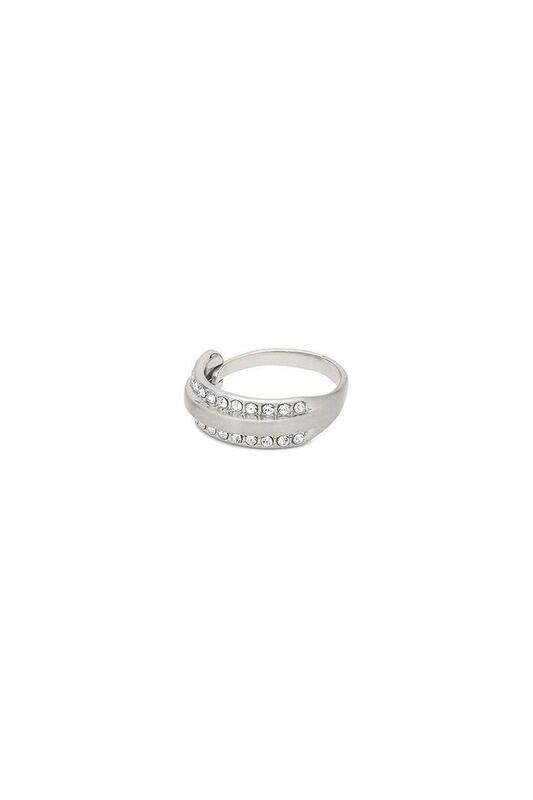 A gorgeous, voluminous ring decorated with two rows of crystals on either side of the band. With the Robyn collection, Pilgrim has created modern exclusivity and stylish elegance. Rows of clear crystals enhance the distinctive shapes with a brilliant richness in combination with polished and satin surfaces. Particularly captivating and beautiful jewellery to enhance your exclusive look. 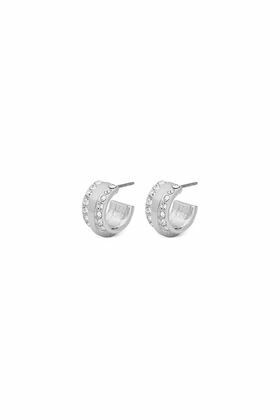 Gorgeous earrings that sit beautifully around your ear and sparkle with a row of crystals on each side of the band. With the Robyn collection, Pilgrim has created modern exclusivity and stylish elegance.